Another epic moment from my perspective was the rails to trails movement. With abandoned rail lines being converted into trails. And the first one was in 1965, 50 years ago. A rail trail was converted into a recreational trail and it was a boom to the economy in Wisconsin. Some laws were passed in the US to help facilitate that where if a rail line was abandoned it wouldn’t just revert back to the original owners of the land. It stayed. It had value as a right of way for fiber optic, utilities, or future rail user transit. This rule and this technique can apply to any nation and those opportunities are there. The RTT was the advocacy organization. We need to get them participating in our group. They have been promoting rail trails. This has occured in other places. This is one in Japan. There is one in France. So the RT movement is picking up momentum. This is an old elevated metro line rail in New York City converted into a park and a walkway. This is right outside the doorstep of literally millions of people. They can go right out their door and access this trail that is built on an old elevated rail line above the street called a high line.Now it attracts five millions visitors a year and 2.2 billion dollars in economic activity according to the traveler Globe and Mail in an article recently. Then we have evolving more recently the National Trails movement and organizations of which many of us here represent. They have been expending explosively and the beauty of this sort of organization has been coming together internationally to communicate. And again that trails movement has led to legislation in our country. The trails act of 1968 and other nations I know have legislative programs that also support trails that enable, endorse, and hopefully fund them. This system in the US evolved into a whole national infrastructure with a national designation of historic trails and recreation trails. Thousands of kilometers have been added since the passage of this act. Having our local provincial state and national government at least passing legislation that endorses these programs if not finding ways to fund them. Then we have the NGO organizations that have formed and American Trails is one of them. It becomes a collective voice and a voice of advocacy. Our organization puts together an international symposium in Portland for all of you who can make it. Advocacy again at a local and national levels. Informing elected officials and also maybe more importantly business leaders about the value of trails as well as other educational opportunities. That movement is again growing and the Asian Trail Network and Jeju Olle is a wonderful example. The World Trails movement is another step in that evolution. I am going to talk about for a moment the Greenway movement which I think is a kindred movement. I think the first major branding of green ways was in Denver although it may have been other places too. The Greenway is the notion of having a corridor that doesn’t have to be very wide, but a long strip and it allows people to travel by bike or on foot and that movement spread across the US. I’ve seen it in China. The Pearl River Delta project is just absolutely amazing and how fast that was built. In Europe they had years ago. Those walkways that went through cities and then it was adopted in the US. These routes where people who worked and labored a 100 years ago in factories would have that place they could get out for a break and get some solace and it was right outside their door. So what Frederick Law Olmested developed in the US was having these connected parks and parkways. Inspired by those promenades and boulevards he saw in Europe. A Greenway is about a pathway where people can travel by foot or by bicycle or by other non-motorized means, but it is also about the envelope around it. That green space that creates an environment. It is not only about the trail itself, but it is the trail through what it passes. 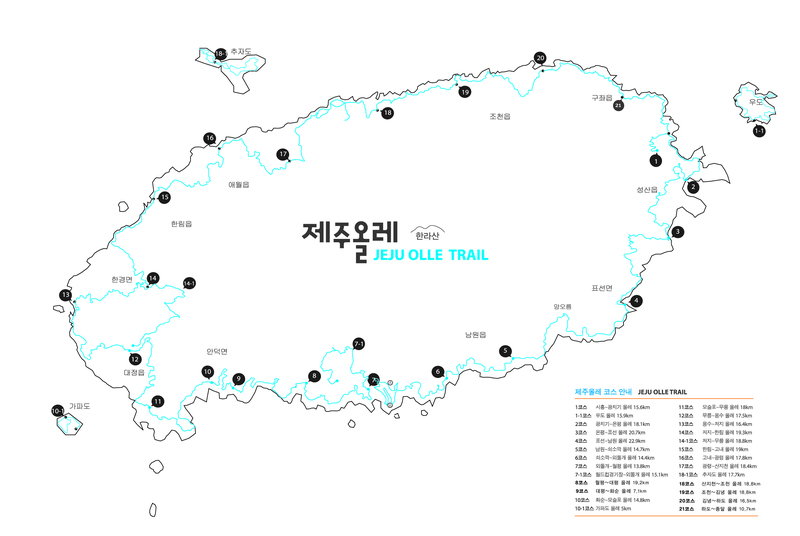 There are also destinations along the way like the Jeju Olle Trail where you go from town to town or historic site to historic site. That is a green way. What sometimes kicks these things off. Sometimes they start with an inspiration and many times they start with a crisis. Where maybe a flood or an economic disaster or some other kind of event it galvanizes into taking action. In Denver where the first major Green way was built it was a response to a flood that just caused millions of dollars in damage and cost many lives. People came in a said along this river we need to come up with a different idea. That was the notion of creating this green corridor, which also by the way, expanded the floor plain corridor so removing buildings and things that flood from the corridor. There is less damage and loss of life so there is that infrastructure value that grows out of Green ways. It is not only about a trail it is also about a green infrastructure. I think it is 12 hundred kilometers in the Pearl River Delta Greenway system in China. People are just loving these corridors. It also is a way for us to bring the notion of stewardship to these spaces. These areas are often abuse and deteriorated. A greenway can inspire people to see a river corridor in a different way. That is isn’t just a dumping ground, but a priceless amenity and it can also motivate us to turn things back to the way they should be. Make them also places for people and spreading that ethic, that green infrastructure ethic. I think it is part of the message that we want to convey. We want that experience for people. We want to preserve the environment. We want to remind people that what we’re building is not just frivolous. It is very valuable infrastructure and therefore it is a great investment. Of course the other epic moment in my life is learning about Jeju Olle. Because that again inspired a notion and model that other people could follow. I don’t have to tell everybody here the value of this corridor. But again I think what this represents is the notion of taking that pilgrimage idea and expanding it worldwide. People can come and see here. They can come and be inspired and all the other countries of the world to follow those models. It led the way and I think a new generation of having a place with a high quality trail. I think the events are wonderful. I have been to the walking festival. It is a way to get people really excited. I think it is a window to the world to get the World Trail Movement. That is just a priceless contribution that came out of this place. I am going to wrap up by talking about some of the common threads that make things happen as we go forward. As we walk together and we will be thinking about over the next couple of days. What is the spark that makes these things happen? Is it a pilgrimage. It is recovering after some kind of disaster. What is the thing. What is that spark. And then coming up with a really exciting vision. All of us in this room are visionaries. We’re the ones that need to lead that way and come up with those ideas that will inspire and then turn and find the leadership. People that will champion this project. I see the mayor and elected officials are here from Jeju. I think that commitment, that partnership of leadership is priceless because they are an essential part of the process. Forming partnership. Who can be out partners? Not just simply government funds that build these things. We can work with non-profits. We can work with utility companies which share rights of way because trails can be access road for utilities. Partnerships with transportation people and then the other important thing is implementation. You can’t just have the idea. We have to get something on the ground. If you build something people will see it and if you build something and do it well people will embrace it. So it is those key catalytic factors that will begin to convey that message. And a lot of times its good if you can say that in 30 seconds. Something that will resonate. Those are the way I think we can make these things happen in our own community. I think also of the Asia Trails Network and World Trails Network. I think these models can be very helpful because they will enable. Part of our mission is to enable people. People that aren’t as intimate with trails and the value of trails as we are. If we can convey our message in the right way and convey the economic message that is important. People will understand it is an investment. I like to compare it to the cow and the steer. The cow will always keep giving us milk. The steer once it is slaughtered you consume the steak it is gone. Having that investment is not just spending and the one time thing. It is an investment that will last for generations. That will continue to bring value to a community. The numbers are there. In the USA there are 6.1 million jobs that come from these investments in this infrastructure and again as I mentioned and things are built every year so the public can see that you are serious about it and not stopping it until it is done and building something of quality. That is important too. So I think that is the direction we want to head. I am not going to play any music for you (shows guitar). But I brought this because this is about music and what is it about music that is so special? Music is something like art that we do as humans that sets us aside from the plants and the animals of the planet. We don’t do music to survive. We don’t do it to procreate, sometimes we do, but it is something that is important because it resonantes and those vibrations that resonante with us. It conveys a message and that is why music is so priceless to us. It is one of those things that we do strictly for spiritual values. The thing about music is it is viral. If you get a good song going or good music group as you all know it will spread world-wide. People will pick up that music. People will pick up that tune and a good quality trail is like a nice piece of music. We’re all composers in this room. We want to come up with the right rhythm, the right sound. We want to excite people by it and we want it to be viral. In a way it is the same thing. Trails are built not for survival they are built for spiritual sustenance, for physical well being, and health too. When we think about the trail we think about the musical value. I am going to take it home here with a few more comments about how do we go towards a trail planet. How do we continue the tradition that epic moment that began here 5 years ago or so. The value of having a global organization. Obviously it is evident the times I have come here it is the opportunity for fellowship and the things that I have learned from my companions. Fellow travelers. That unites us. Also the way that we can help each other by enabling each other by having an example of Jeju Olle that somebody in Panama can pick up to share those ideas. Not just the techniques and the technology but also just the enabling through examples. Convey the notion of the benefits. We here in this room know really it is our role to go out to the planet and get those ideas out there. Also it is the notion of green infrastructure because trails are kind of wag the dog. That is an English expression we have. They can catalyze people thinking about the environment because if you build the trail through an area you want to have a nice environment around it and so you can begin to convince people of the importance of preserving corridors with wildlife and with pleasant places. It is not always very wide. In a city is it only a few hundred feet wide, but it is a place of solace and sustenance. For humans and for also many types of animals. We can also have people think about alternative futures for our planet as we become more industrialize and our population grows. We really need that stewardship value if we want to have a planet that is a decent place to inhabit generations from now and I think that is part of our mission too. The World Trails Organization is to bring that message out to educate to engage youth to engage the next generation. I am glad to see there are many younger people in the room. That is beginning to happen. Also I think an important mission is to get trails to everyone’s doorstep. To really make everybody who has an interest feel engaged that they can access trails so bringing connections into our cities, having youth programs like President Roosevelt had where kids go out and work on trails. Those are important. We have challenges to overcome as an organization. There are financial. Staffing. Leadership and we’re working on that to figure out how to keep this ball rolling. We’re going to hand the baton off to Japan shortly. I think that is really important to pass the baton from nation to nation to keep us going forward. I think we also need to really begin to focus in on distinctive opportunities. We want to avoid redundancy with other organizations, but we also want to have a good business plan going forward. So that is something we can be thinking about over the next couple of days as we speak with each other. Is thinking about our mission statement. What is that mission we have? Also expanding the people that will follow our mission and engage. Our strategies to get the word out. Also finding some of that seed money. And so in wrapping up I just want to say we’re here to do it. If we don’t do it. Nobody else is going to. The world needs those ways, those places to move with freedom through the landscape. Those are trails where people can walk and people can find that solace. We need those corridors. They need to be quality corridors and they need to be both addressing the ancient ways as well as a new routes. They need to get people using those pathways. That we continue to build our constituency.